Tight Line Exteriors can help you put the perfect finishing touches on your home with our exterior remodeling services. 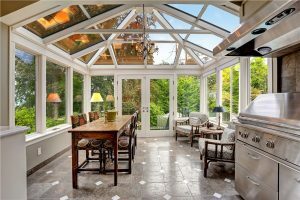 We are a local home improvement contractor that has been in business since 2004 and have since solidified our position as a trusted resource among Atlanta, Georgia, homeowners. Whether you’re looking to have a small project completed or want to update your home’s entire exterior, we are the remodeling contractor to rely on. Our team will complete your project with care, listening to your needs and ensuring they are met every step of the way. Thanks to our impressive attention to detail and commitment to excellence, we hold multiple Best of Houzz awards and have also been named a Certified Contractors Network (CCN) Contractor of the Year. Whether you have an exact vision in mind or you’d like some assistance, we are the exterior remodeling contractor for you. Our designer will be happy to meet with you for a consultation, during which you’ll discuss your preferences and aesthetic tastes as we provide recommendations for product selection, color scheme, and more. Why wait to transform your house into the home of your dreams? Contact Tight Line Exteriors today to schedule a free consultation. We proudly serve homeowners throughout the Atlanta, GA, area and look forward to bringing your vision to life.